In Conversation with …. on All Jazz Radio Tuesday’s to Friday’s from 3pm C.A.T. Eric Alan chatting with guests of interest on The Jazz Rendezvous Jazz, Blues, Latin, World Jazz and Cabaret, Music & Musicians, Entertainers, Artisanal Booze & Beer, Cocktails, Pinotage, Please note that all of our interviews/chats take place from 3 to 4 pm Central African Time. On Air exclusive to All Jazz Radio. Wednesday – 14 November – All to often when a musician passes on everybody and his cat comes out of the woodwork pay homage and give tribute to the dead person, the question I’ve and a few likeminded people have been asking and thinking for absolute ages, why does it happen when one dies does it become a fixture to do these tribute/memorial events? It is better to celebrate alife well lived whith the honoree in attendace not so. Thankfully Ramon Alexander who is an innovator, instigator, maverick and all round good guy and most of all passionate about South African and Cape Town Jazz so he came up with a project to pay hommage to foremost composer, pianits, bandleader, teacher Ibrahim Khalil Shihab (Chris Schilder), the resulta fantastic album Essence of Spring (2018) which showcases Shihab the composer and I hope it is just the beginning because the album barely scratches the suface of work written by Ibrahim Khalil Shihab. We’’be In Conversation with …. both Ibrahim Khalil Shihab and Ramon Alexander live in the studio. 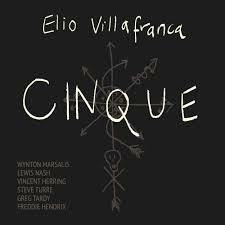 Elio Villafranca’s new album Cinque has been released and is a five movement suite inspired by the story of Joseph Cinque, who in 1839 led a successful revolt aboard the slave ship La Amistad, days after being sold and transported to a sugar plantation in Cuba. Elio Villafranca‘s most ambitious project today, showcases the cultural diversity of the five Caribbean islands of Cuba, Puerto Rico, Haiti, The Dominican Republic, and Jamaica; while simultaneously highlighting the Congolese musical heritage woven into the fabric of each of these diverse nations, and yet unified via the forced migration of Africans to the Americas. Cinque, released on artistShare, is a body of work that encompasses narration, original composition and selections of Elio’s own field recordings of different forms of rooted Congolese rhythms in the Caribbean, especially the traditions of Tambor Yuka, only practiced today in the region of Pinar Del Río, where Elio was born, and Gangá, a rare culture that came from Sierra Leon, Cinque’ place of birth, to the region of Matanzas, Cuba. Both traditions are near to extinction today. Elio’s intention is to share music the same way he experienced it growing up in Cuba, by giving access to the context and sources that inspired his original compositions. This way of sharing, creates a better bridge with the listener to a more meaningful understanding and connection with music and culture. 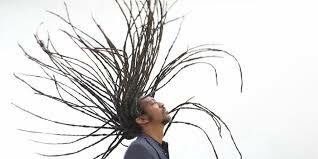 Dec. 6 New York City– Carnegie Hall presents Elio Villafranca and Afro-Caribbean Trio at Harlem Stage Gatehouse.